On this project I worked mostly on the Single Player team. The main level I worked on was Stronghold, the third level of the game. This level features a battle to and through a church. Followed by sniping section where the Daniels protects his friend Zussman. This section is punctuated by the bell tower that you are in collapsing. In addition to the level above I worked on 6 other single player levels iterating and polishing combat setups and cinematic moments. I worked in tandem with environment artists, animators, and the FVX and lighting team while guiding different experiences based off of my design and designs that were directed to me by level leads. By the end of the project I had worked on almost every Campaign level, the reveal trailer, and the E3 Campaign press video. 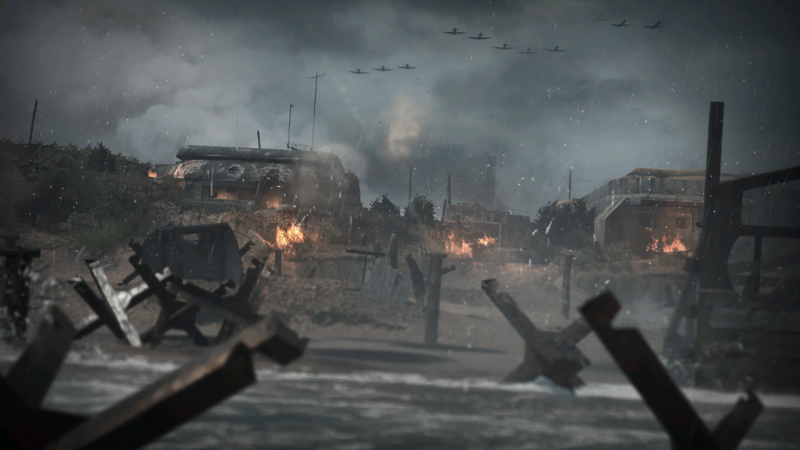 Near the completion of the project I was moved to multiplayer's WAR team and helped finish Operation Neptune. I then continued to work on the multiplayer DLC team for the duration of the DLC season. While on the DLC team I have done the scripting for every vignette in WAR mode, created unique game play and animation systems, and built objective areas from blockout to completion. OPERATION NEPTUNE: I worked on bot behavior on the beaches, scripted beginning and ending vignettes, scripted vista events that tied into objectives. 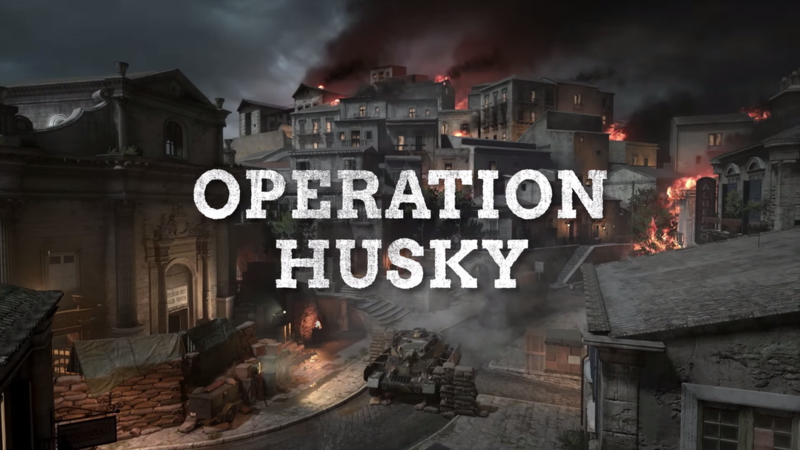 OPERATION HUSKY: Designed and implemented the Tripwire weapon, modified special item boxes to work with broader design goals, scripted beginning and ending vignettes, iterated on second objective geo. 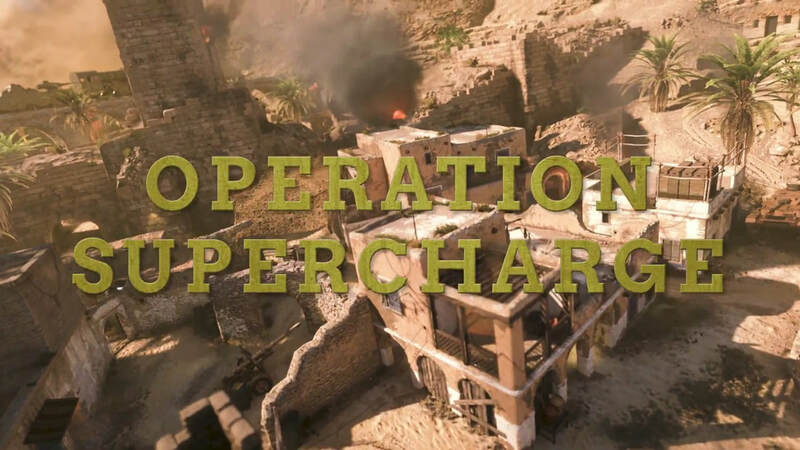 OPERATION SUPERCHARGE: brought first objective geo from blockout to design lock, designed and prototyped parachute spawn mechanic for allies, designed and prototyped new air drop objective mechanic, scripted beginning and ending vignettes. 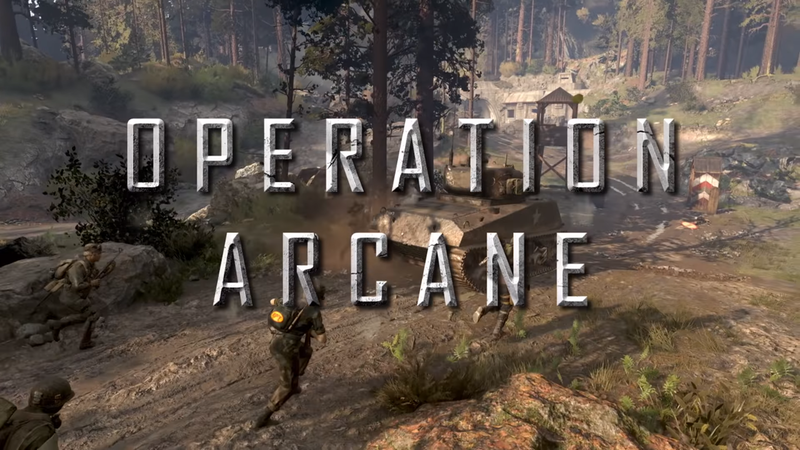 OPERATION ARCANE: Iterated on first objective geo and objective mechanic, scripted beginning and ending vignettes, helped balance the maps unique weapon and player serums.